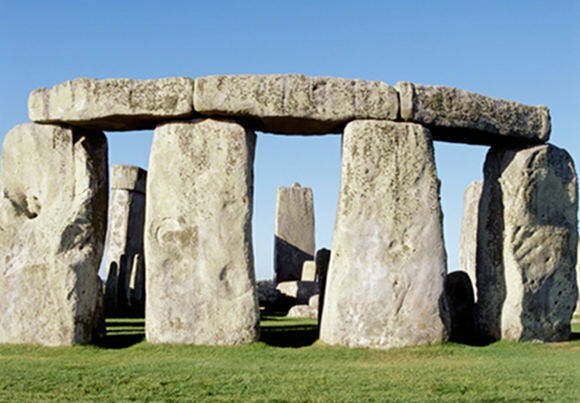 Laser-toting historians have found that Stonehenge was architecturally rigged to show off the solstices. The UK government's adviser on the historic environment, English Heritage, used 3D laser scanning tech to analyse the pillars of Stonehenge, with results that back up the idea that the monument is all about the winter and summer solstices. According to the scan, the stones were shaped and worked differently in different parts of the pattern. The stones on the outer sarsen circle, the ones you can see when approaching from the north east, have been completely "pick dressed". Stonehenge workers scrubbed them free of their brown and grey surface crust, leaving a bright, grey-white surface that would gleam in the midwinter sun. Within the structure, the stones along the north-east and south-west axes, aligned with both the winter and the summer solstice, have been carefully worked to make straight narrow rectangular slots on the sides flanking the axis. Other stones have more natural, less neat outlines, suggesting that the people who built Stonehenge weren't as bothered about them as the they were about the solstice stones. "We didn't expect the results to be so revealing about the architecture of Stonehenge. It has given further scientific basis to the theory of the solstitial alignment and the importance of the approach to the monument from the Avenue in mid winter," Susan Greaney, senior properties historian at English Heritage, said.